This article was originally published on Boing Boing and has been reposted here. Descending into Madagascar at night is an experience. I was enveloped in and captivated by the darkness. The expected sight of bright lights, distinguishing cities, small towns or even an airport runway, slowly dissipated as I pressed my face against the plastic Air France window. Occasionally, the plane would pass over a handful of small lights – almost like looking at the few stars you can see on a clear night in New York City. There is, for a moment, a quieting calm. Stepping onto the runway and into the immigration hall, the silent darkness ends abruptly. Bright florescent lights beamed down as I squinted and was herded into an over-crowded cattle pen of people pushing in every direction to hand off their landing cards and passports for inspection. People clamored over each other, extending their passports over the shoulders of others, climbing over children to get to the front of the crowd. No lines, no waiting, no calm, no conventions, no personal space. It was an exhilarating rush of city-like urgency, if not overwhelming. The lack of a distinctive electrical grid and the country’s self-declaration as a land of “mora mora”, a Malagasy phrase meaning to take life slow, could easily mislead one into thinking that this island of 22 million people prefer to kick-back and watch the world go by. Not so. As Science Hack Day Antananarivo was about to show me, Madagascar is pulsing with an insatiable liveliness for science and technology – a cybernetic horse champing at the 8-bit. The next morning, I met with the Science Hack Day organizers who were darting around to get the venue ready for the arrival of Madame Rasoazananera Marie Monique, the “Ministre de l’Enseignement Supérieur et de la Recherche Scientifique”, who I learned was a very notable figure within the government when everyone abruptly stood up upon her arrival. She and other officials spoke of how it wasn’t enough to just have the people of Madagascar get PhD’s and write scientific papers – that what Madagascar really needed was more people who were actively involved in experimenting, creating solutions and prototyping ideas with science. I was pleasantly surprised to hear this. It’s rare for me to encounter government officials that recognize from the get-go that simply raising the percentage of people who acquire PhD’s in your country does not necessarily equate to seeing science in action or having a country of empowered people who can build real-world solutions. 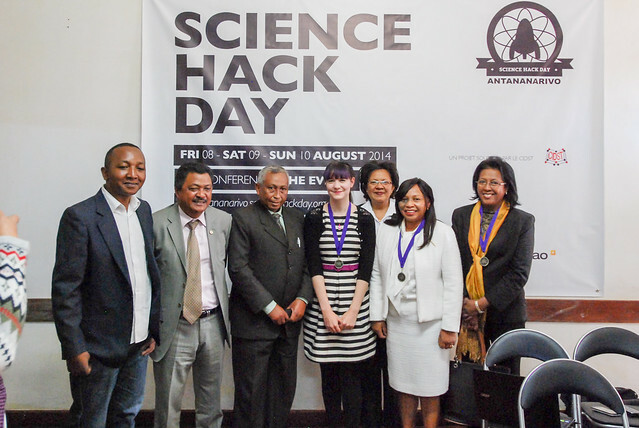 I could tell just how meaningful this Science Hack Day was for proving to the newly internationally-recognized Madagascar government (that came into power just this year to mark the end of the widely-condemned coup that happened in 2009) that people from all backgrounds can make amazing things with science. It’s easy to see why the government is wanting to move science into a more active role in Madagascar. Madagascar frequently ranks in the top ten poorest countries across the entire world, sometimes as high as the top five based on varying data points. 75% of the country is considered to be living in poverty, with over 90% of the country living on less than $2 a day. 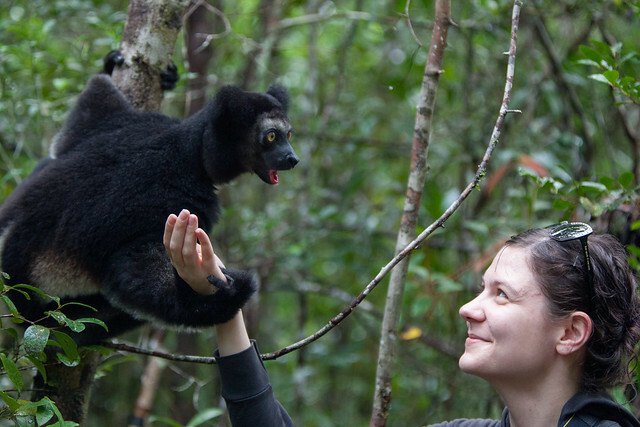 The wildlife, which Madagascar is internationally known for, have been deeply exploited. Approximately 90% of Madagascar’s plants and animals exist nowhere else on Earth. From the 1950’s to 2000, the country lost approximately 50% of its forests. Lemurs, which exist naturally only in Madagascar, have been deemed the most threatened mammal on Earth – meaning they are the most likely mammal to go extinct in the near future (the Northern Sportive Lemur, for example, has less than 20 individuals of its species in existence today). The biodiversity in Madagascar has also made its plants a target for excessive exploitation via pharmaceutical companies, which hurt not only the plants themselves, but also the local economy which rarely receives profit from these outsider operations. As a knock-on effect, a few scientists I spoke to in the region said they sometimes avoid knowledge-sharing due to a reasonable paranoia over companies regularly exploiting Madagascar for all its worth. Amidst all these unfortunate facts, there are glimmers of hope to be found in an emerging community of science hackers. Andriankoto ‘Harinjaka‘ Ratozamanana, the lead organizer of Science Hack Day Antananarivo, runs Habaka, a tech innovation hub in Madagascar. Habaka has become a central hangout place for the geeks of Antananarivo. 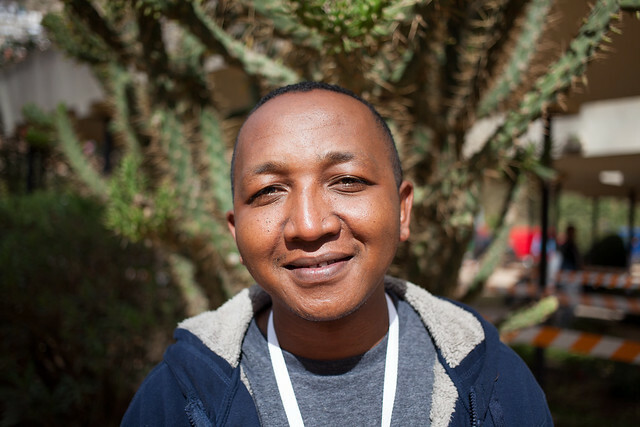 Harinjaka has a tenacious quality about him – taking initiative to drive a tech/science community in Madagascar forward in the face of many challenges. His drive has a contagious effect, inspiring many others to follow his lead. The Habaka space is co-run by a small scrappy group of locals who are passionate about facilitating a space for tech and science in Madagascar and want to elevate their community to be recognized on the world stage. The success of Kenya’s tech incubator, iHub, is a great example of a space that has brought a community together to collaborate and build great things in Nairobi. But iHub’s success often outshines other tech/science hubs across Africa to journalists who carelessly like to lump the entire continent of Africa into one single place. There are, in fact, dozens of these spaces and initiatives across the continent, some of which are cataloged by the community network AfriLabs. 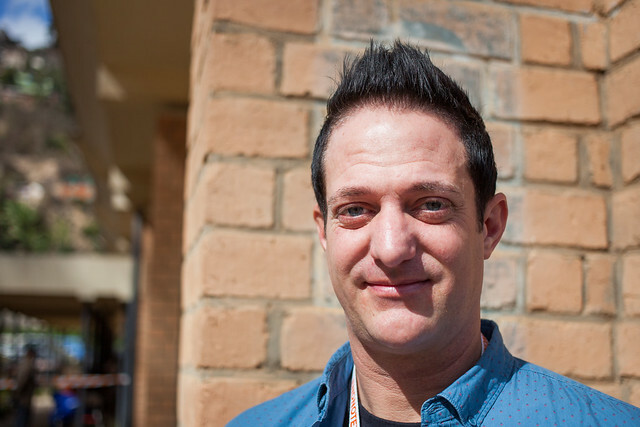 Chris Corbett, a Bay Area expat now residing in Antananarivo, is a regular collaborator of Harinjaka’s, having helped him put together the Science Hack Day and run the Habaka space. In addition, Chris runs an endeavor called “Human Development League“, a non-profit that teaches life skills and character development through amateur sports to many of the children who live on the streets of Antananarivo. Chris has a hugely endearing nature to him; a person that exudes kindness and a desire to help people in any way he can. He told me how he came to Madagascar for what was supposed to be a five-day trip and immediately decided never to leave, turning his trip into a four month stay and a Visa process to reside in the country. As I walked around crowded markets and out-of-the-way restaurants across the city, seemingly everyone knew Chris and greeted him with hugs and smiles. It’s amazing to see what both Harinjaka and Chris have been able to accomplish with very little, if any, funding for these initiatives over the years. They’ve navigated in-kind donations and support networks to help build out their visions thus far and now hope to find grants and sponsorships to ensure a bright future for their projects. For Science Hack Day Antananarivo, Thomson Reuters EndNote provided sponsorship for the event, helping make it the largest event that Harinjaka and Chris had put together – proving that there was a proper budding science hacker community that was just waiting to be tapped into action. It was also fascinating to learn that one of the largest obstacles to hacking/prototyping in Madagascar was not lack of income, but the fact that hardly any companies ship to Madagascar. Before traveling to Madagascar, it’s common to have local friends ask you to buy phones, laptops and other devices for them because there is no way to get them shipped over. Many of the Science Hack Day attendees had learned about Arduinos inside and out, but had never seen one in person because there was no company that would ship them there. The few donated Arduinos I had brought were quickly snatched up as large teams formed around so that everyone could get a chance to play with them. My partner and Science Hack Day collaborator, Matt Biddulph, led an impromptu Arduino class and found himself in the middle of an Arduino-frenzy as everyone crowded around with questions about various sensors and code. My heart broke a little as numerous people came up to me saying they’d be happy to buy an Arduino if we could somehow get them shipped to the country. Getting more sensors, devices and computer/data science literacy to Madagascar could actually be critical in the fight against deforestation. 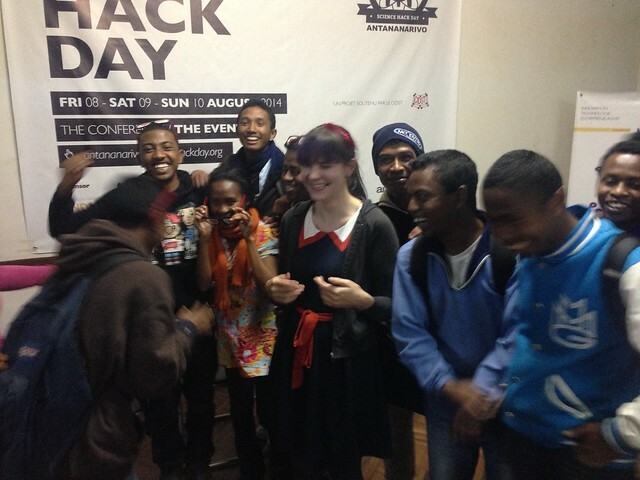 The attendees of Science Hack Day Antananarivo were some of the most endearing, excited and inventive people I’ve met. The type of people that you could never possibly be in a bad mood around even if you tried. Most worked in large teams, figuring out how each person could contribute to hacking together a concept. The hacks that emerged were highly influenced by the ubiquity of sensors for the real world. One team prototyped a concept for producing happier, fatter chickens in short timeframes by creating “smart farms” that could play calming music as well as control temperature, sound and light. The project was called Akouzen (essentially, “zen chicken”). Another team proposed using radar and ultrasound to detect and kill locusts that regularly ravage Madagascar’s crops. Perhaps for the best, there was no live locust-killing demo. The largest team worked on two prototypes: a robot security dog and an emotion detector based on measuring skin resistance. One of the journalists who came to cover the event became so excited by it that she stuck around and created a prototype of her own: a solar stove that could cook basic meals without the need for gas or electricity. It was the end of Science Hack Day Antananarivo that was the best. All the attendees, despite their tired state, clamored over each other to take as many ridiculously fun group photos as they could, showing off their awarded science medals and certificates, making huge group hugs, and grinning from ear to ear. Harinjaka and Chris were in an exhausted euphoric state that I know all too well as a Science Hack Day organizer. When I had organized the first Science Hack Day San Francisco in 2010, I remember barely being able to keep my eyes open but feeling like it was the best thing I had ever done. Putting together an event that brings people excitement and laughter and unconstrained creativity and experimentation is simply awesome. After the event, a retired astrophysicist dropped by Habaka in jubilation. He had read about the Science Hack Day in the local newspapers and was excited to find other individuals who were trying to make science an active pursuit in Madagascar. He regularly spoke to schools and the government about how Madagascar should invest in a small satellite and how it would have a huge impact on both education and policy. He talked of how isolated he had felt in his endeavors and now after connecting with Harinjaka and the Habaka hub, he no longer felt alone. Some might say that Madagascar has a long road ahead to restore the many exploitations and grievances endured by their environment, government and people. While that is likely true, and many more people, policies and financial aid is needed to rebuild, Madagascar has what are likely to be the first responders in rehabilitating and improving the country: the science hackers of Antananarivo. Ariel Waldman is the global director of Science Hack Day, a 48-hour-all-night event where anyone excited about making weird, silly or serious things with science comes together in the same physical space to see what they can prototype within 24 consecutive hours. Anyone can organize a Science Hack Day in their city — a how-to guide is available at http://sciencehackday.org/howto.